High Quality Brand New Masterweld Lincoln replacement gun 10' 100 amp gun!!! This gun is the Best replacement option and uses the same consumables. Customers have stated that this gun is better then the original! 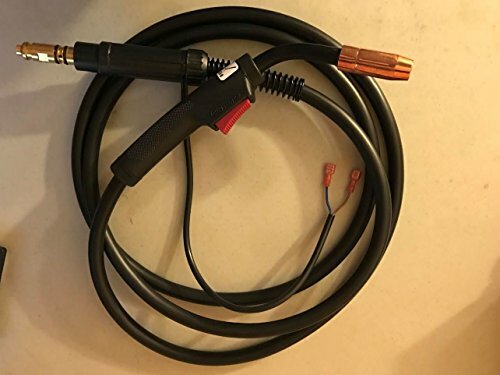 This Mig gun has Has Spade Connectors fits Lincoln SP welders such as SP85, 100, 125, 130, 135, 140, 170, 175, 180T as well as some other Lincoln welders like MIG-Pak 10/15; Pro-10/15; Pro Mig 135/175; Weld-Pak 135/3200HD, etc.